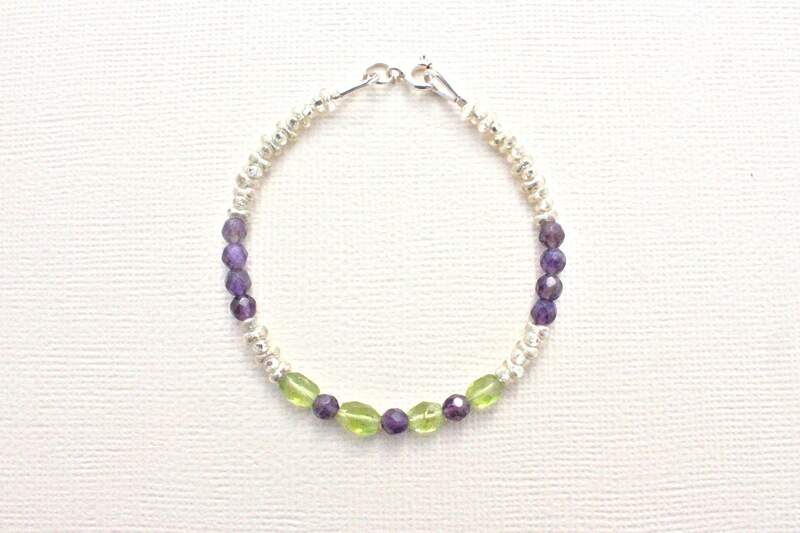 Bracelet with 4 "rice grain" faceted beads 6mm x 4mm Peridot and 1 faceted 4 mm Amethyst round beads. All gemstones come from the USA and are therefore a unique quality. 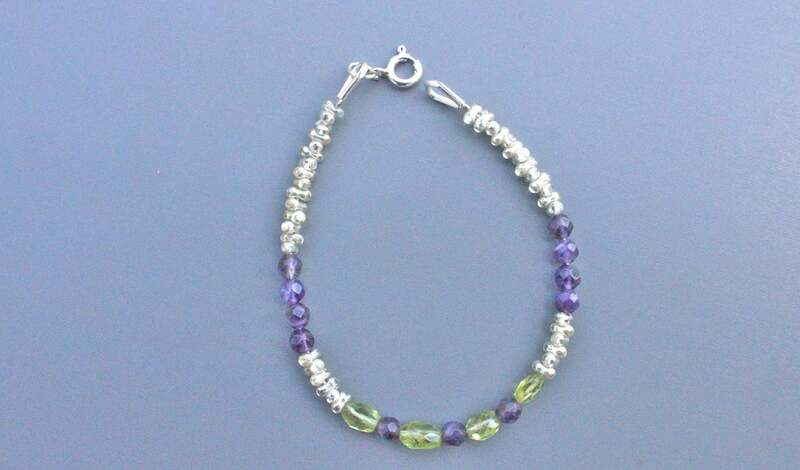 It is embellished with silver Preciosa seed beads 2 x 4 mm and is mounted with 925 sterling silver spacers: 2 wire protectors and 9 mm spring clasp.